The southern part of New Zealand’s North Island stretches from Taranki in the West to Hawkey’s Bay in the East, and includes the country’s capital, Wellington. From here, you can catch a ferry to New Zealand’s South Island, but don’t be tempted to leave before thoroughly exploring the region’s delicious wine, volcanic hikes, and long surf beaches! If you’re a surfer, don’t miss out on a road trip along the Surf Highway 45, which stretches from New Plymouth to Hawera, passing countless surfing spots and beautiful black sand beaches along the way. Hawkey’s Bay is a popular destination among tourists and locals alike, owing to its small, picturesque towns, like Havelock North and Hastings. It also has a warm and dry climate, enabling more than 70 vineyards (many of which are family-owned) to produce wine in the region. 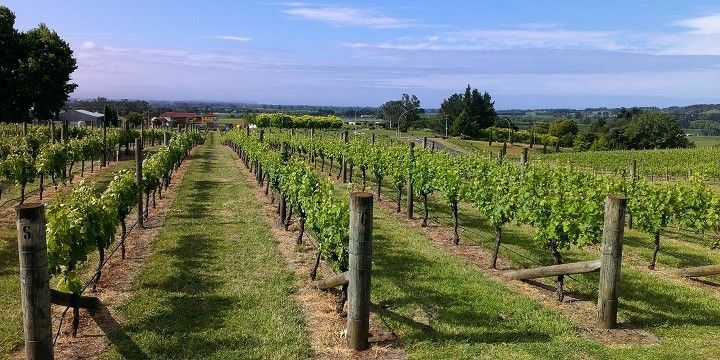 The region around Hawkey's Bay is full of vineyards. After enjoying a delicious glass of white, red, or rosé, head to the remote Mahia Peninsula to unwind on the beautiful beach. The Coronation Reserve and Mahanga Beach are great swimming spots, while Mokotahi Hill offers unforgettable views over the peninsula. The port city of Napier is famous for its beautiful Art Deco buildings. Its streets are lined with pastel-colored buildings, which will make you feel like you’ve traveled back in time to the 1920s. Try to visit in February, when the whole city dresses up for the annual Art Deco festival! Cape Kidnappers is well-known for its big colony of gannets. 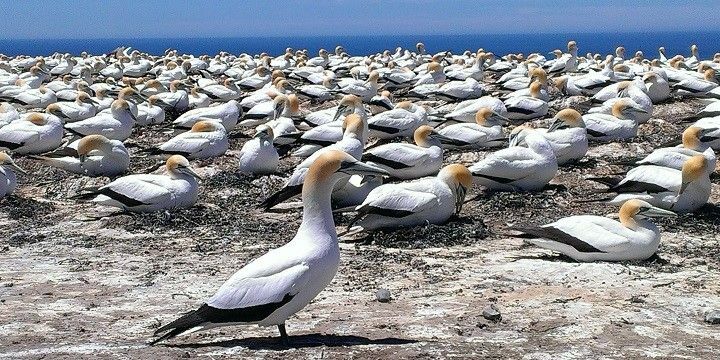 Cape Kidnappers, where you can find a colony of more than 3,000 gannets, is located about half an hour from Napier. Getting to the nesting ground is an adventure in itself, as the path stretches along steep cliffs, and is only accessible when the tide is out. There are many ways to explore this area, such as via a two-hour hike, a tractor tour, or rented kayak. The Mount Tongariro National Park, located in the region’s center, is one of the world’s few mixed cultural and naturals UNESCO heritage sites, owing to its outstanding natural beauty and Maori culture. Its picturesque landscape includes dark, snow-capped volcanoes, shimmering green and blue lakes, and gorgeous red and orange rock formations. It also features three impressive volcanoes, which are all great hiking and skiing spots. 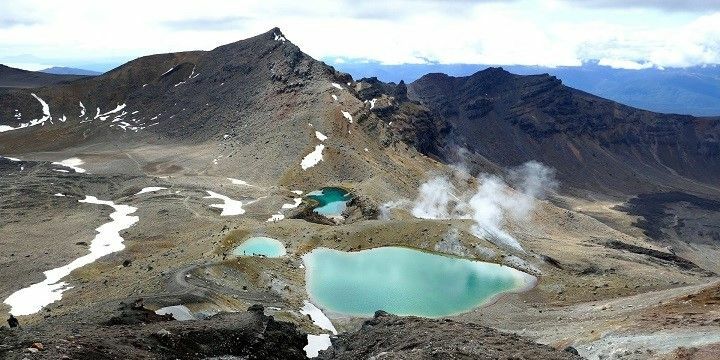 The Emerald Lakes are part of the Tongariro Alpine Crossing. Mount Ruapehu is a must-see for those who want to hit the slopes, as it’s home to two of New Zealand’s largest skiing areas. Meanwhile, Mount Tongariro is famous for the Tongariro Alpine Crossing, a 20-kilometer long hiking trail. 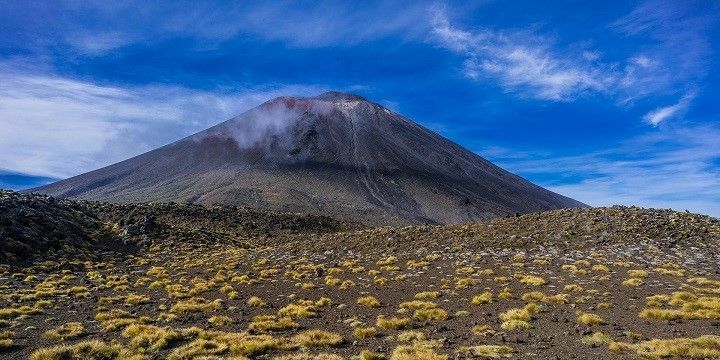 If you’re not too tired, try to make time for the detour to Mount Ngauruhoe — better known among Lord of the Rings fans as Mount Doom — which will take you about three and a half hours. Mount Ngauruhoe, known as Mount Doom, can be seen in the Lord of the Rings movies. Taranaki, in the West of New Zealand, is home to a unique combination of art and nature. Visit the region’s largest town, New Plymouth, for a beautiful mountainous backdrop, fascinating museums (many of which are free), and a world-class art scene. 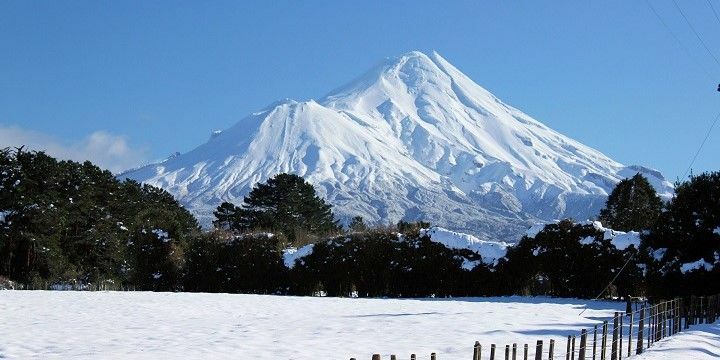 For the best views over Mount Taranaki, and the three additional volcanoes located in the Mount Tongariro National Park, take on the steep, 15-minute-climb to Paritutu Rock. Mount Taranaki is located in the West of the island. Surrounded by beautiful waterfalls, rainforests, and swamps in the Egmont National Park, Mount Taranaki is known as the most photogenic volcano thanks to its perfectly-formed cone. The area hosts trekking routes for all experience levels, including challenging multiple-day hikes along the Pouakai Circuit, or more leisurely strolls along the Kamahi Track. If NextStop24 helped you to choose your next travel destination, we'd be very grateful if you’d search for your accommodation and things to do in New Zealand through these links. They're affiliate links, which means that we will receive a small commission for every booking made through them. There are no extra costs for you; you'll simply be helping to keep NextStop24 running. Thanks! Napier and the surrounding area was one of my favorites in New Zealand. The town is so cute! I went on a day trip to Cape Kidnappers and a wine tasting - would recommend both!